One of my favorite moments in Cuba was exploring the beautiful beaches in Guardalavaca. 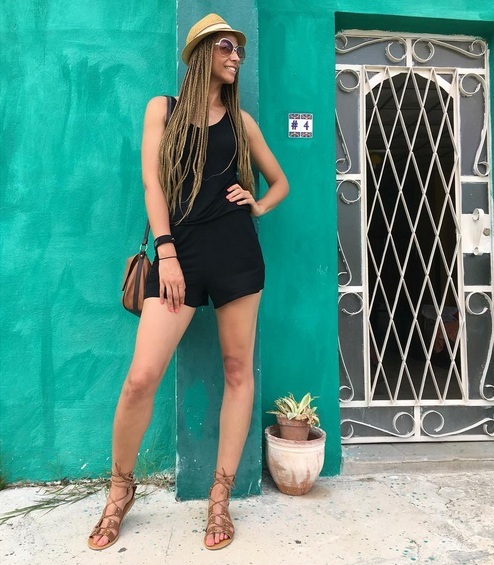 Check out my full Cuban vacation (as well as all of my #TallSWAGTravels) on Instagram: @TallSWAG. For some reason I have been struggling with my words about my trip to Cuba. It was an absolutely beautiful, life changing experience that has made me examine all areas of my life. It’s been very uncomfortable in many ways since returning. It’s a serious question and I am glad that I am asking it. For the past couple of years I have really been diving in to what’s important and more importantly what God wants me to accomplish. However I am guilty of taking the reins from Him and doing my own thing. He has been urging me to take risks, have complete faith, trust in Him and follow the desires he has placed in my heart and I simply will not let go. Cuba put a spotlight and all of these things. The Cuban way of living is completely based on trusting life and what it has to give. All we heard the entire time we were there is no worries and no problem. In many ways they have every reason to worry but refuse to do so. They trust that life will provide and place joy as a top priority. They love hard, they give their last, they value family and place little purpose in things. Cubans have this life thing all the way figured out. Everything is already in His hands. We must choose to give it to Him. See, no matter where we are or what we do, God should be in control. Personally, I am so focused on what I want to accomplish that I take the lead but it’s time to give Him the control. He knows where I am going, He has given me my purpose so it’s time to listen, act and believe. There will be some really hard decisions that I have to make and please believe I am going to be attacked during this process because the devil sure doesn’t like growth and won’t make it easy. Even as I write this fear is starting to set in but I am ready for the battle. I will be sharing my journey with you whether it be a huge decision in my life or time spent in life’s waiting room. I am thankful and glad that you will be there to share in this transformation. I want everything that God wants in my life and look forward to following the footsteps that He has crafted for me! 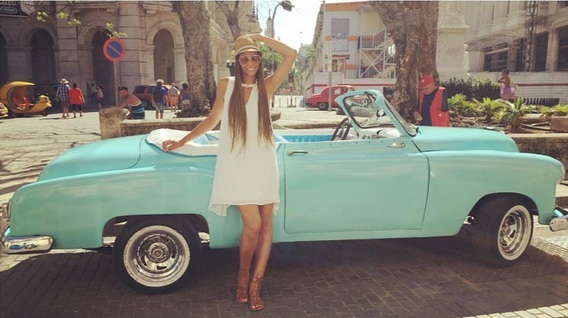 For more of my Cuba moments, check out the gallery below. Chao! 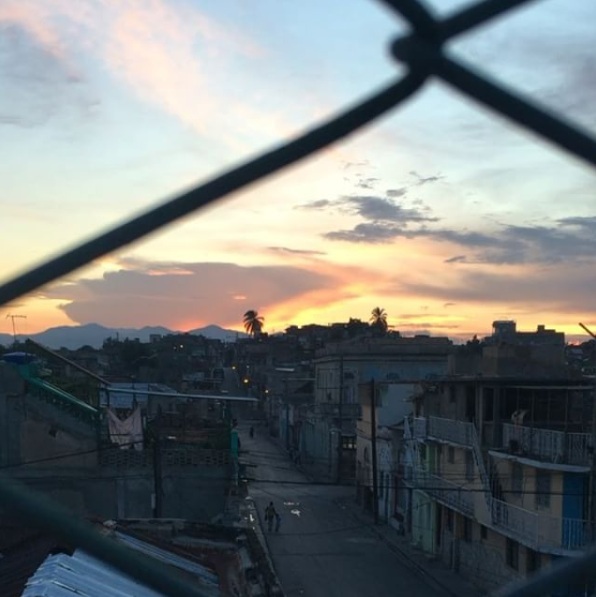 My Cuba adventure started on July 18th. We flew from Cancun to Havana, spent the day in Havana (which is where we eventually ended our trip) and then took a small plane to Holguin. It was a long travel day and I was happy to be wearing this comfy jumper from Tall Girls UK. The colors in Cuba are so vibrant. I am definitely using them in my decor from now on. I wish all cities were this colorful! 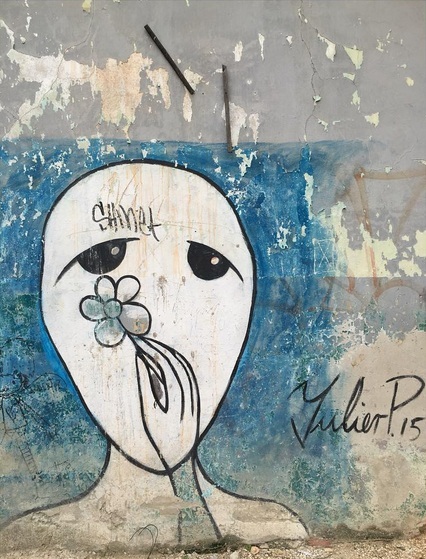 I was enamored with the Cuban street art. It was everywhere and vastly different in every city. 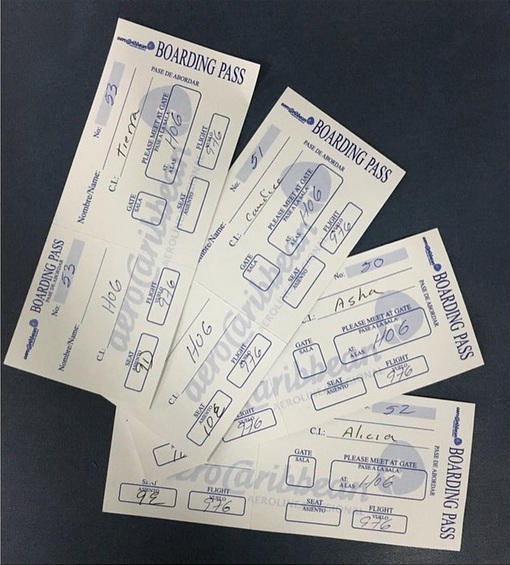 These are the tickets for our plane ride to Holguin. I have never had handwritten tickets before. Admittedly I was nervous about the ride but it was smooth and only an hour and 15 minute flight. 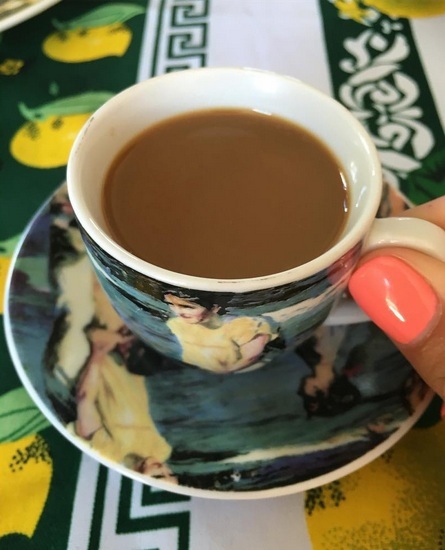 When we arrived at our casa particular (equivalent to a bed and breakfast) in Holguin, we were greeted by cafe. The host family made us feel right at home and all throughout the trip we were offered Cuban cafe. Hands down the best coffee I have ever had in my life. That night we visited Holguin's most popular landmark, Loma de La Cruz. It was atop the highest hill in Holguin. It was breathtaking with a view of the entire city. The view of Holguin from Loma de La Cruz was amazing. Check out the full video by clicking the photo. 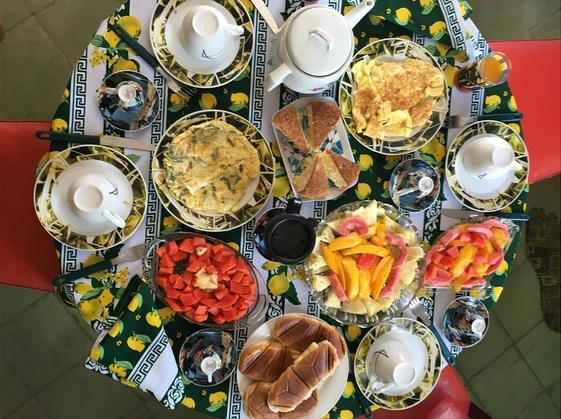 Our host family made us feel like part of their family and put love in to every meal. They cooked breakfast for us everyday at only $4 per person. It was delicious! We rented one of the old taxi's to go to Guardalavaca. I couldn't get enough of the old cars! Our driver drove 74 miles, stayed with us the entire day and drove us home. 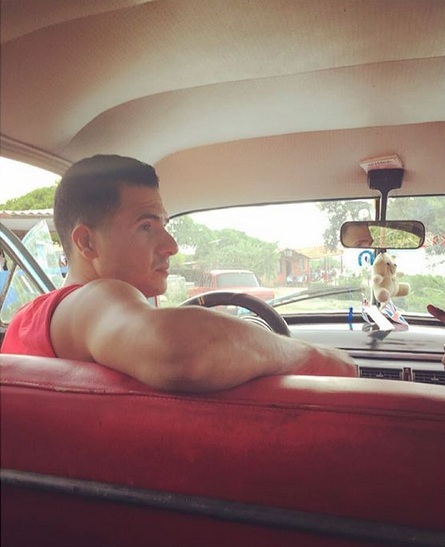 It was a beautiful experience to see the Cuban countryside from one of the classic cars in Cuba. The beaches in Guardalavaca were absolutely beautiful. I really have no words for how beautiful they were! Easily one of my favorite moments on the trip. Long Torso Swimsuit - TTYALondon for Long Tall Sally. I could have stayed on the beaches of Guardalavaca for the entire trip. Long Torso Swimsuit: TTYALondon for Long Tall Sally. After our day on the beach we walked right out of the sea into a local beach side restaurant that Ramon (our driver and guide) recommended. This lobster was amazing and was only $18. Our driver Ramon kept us safe all day and also drove us to our bus to Santiago later that night. He, like many other Taxi drivers in Cuba, he was incredibly proud of the family car that he and his father in law used to provide for their family. Later that night we said goodbye to our host family before boarding our bus to Santiago. I teared up when we left. I loved the entire family...especially the Abuleo (grandfather). After an early morning, somewhat difficult bus ride to Santiago we found our Casa Particular, slept and then hit the street just in time for this beautiful view. We were in town for Carnival. In Santiago they celebrate the revolution for 6 days with parades, fireworks, music and lots of dancing! As someone who spends WAY too much time on the phone and Internet, having no WiFi and phone service was difficult for me in the beginning. Being cutoff from family and friends was the hardest part. For me it's 15 days but for people who live in Cuba, it's a way of life. The main way to connect to the Internet is through 1 hour cards that are sold in minimal places throughout the cities with very limited areas that service them. You can't connect with these cards in your home. You have to go to specified outdoor areas, cafes or restaurants for connection. They are $2-$3 dollars a card. That doesn't seem like a lot however the average salary in Cuba is around $30 a month. You have to make that stretch so the luxury of an Internet card is rare. With that said (and as mentioned)...the people of Cuba spend more time in the present than the social world. They love directly and I need to adopt this in to my life. Social media will never surpass contact and the act of being present. In my eyes, these cards preserve that and really are one of the reasons why I fell in love with the simplistic beauty of Cuba Life. I packed a ton of jumpers for my trip to Cuba. They were easy to throw on and lightweight for the Cuba heat. This lace option is TTYALondon for Long Tall Sally. It's super long in the torso and doesn't need accessories because it pops on its own. 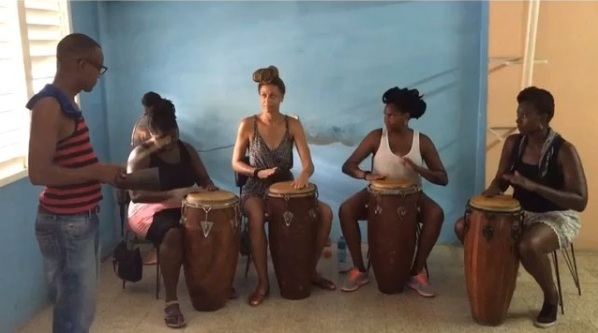 I had my first Congo drum and salsa dance lessons in Santiago. We all played pretty well together considering it was all of our first time on this instrument. Thanks to our friend Yoelvis, we probably had the most authentic classes we could get in Cuba with professor Yester. Check out the video of us drumming by clicking the photo. At this point the trip was only half over and I had already experienced numerous life changing things. Many stretched my comfort levels to the brink but really that is what travel should do. It's not just about rest and relaxation, it's also about learning things you never will in your comfort zone and gaining perspective. As I talked about in my blog, God really reeled me in during the trip to show me what is important, the true beauty of life and things that I need to work on as a person. 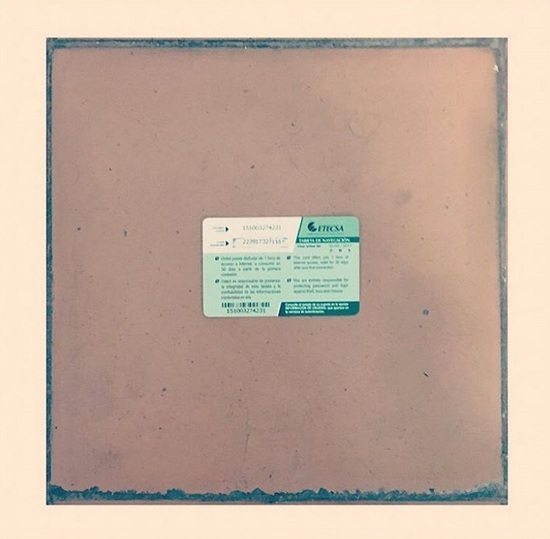 I am thankful for these revelations and blessed to have gone on a trip with a group of friends that supported each other through the beautiful process. I loved capturing candid shots of the beautiful people in Cuba. This is one of my favorites. The Casa Particular that we stayed in during our time in Santiago had an amazing rooftop. On our last night there was a stormy sunset that was just breathtaking. Check out the full video by clicking the photo. Our next stop was Havana! I instantly fell in love with Havana! Click the pic for a video clip of these classic cars in action. On the first day we explored the city and walked down the Malecon. The Malecon is the heart of the city and thousands of people come together at night to celebrate life with one another. A beautiful place to be in beautiful Havana! I seriously want a classic car now! Another one of my favorite candid shots in an alley in Havana. 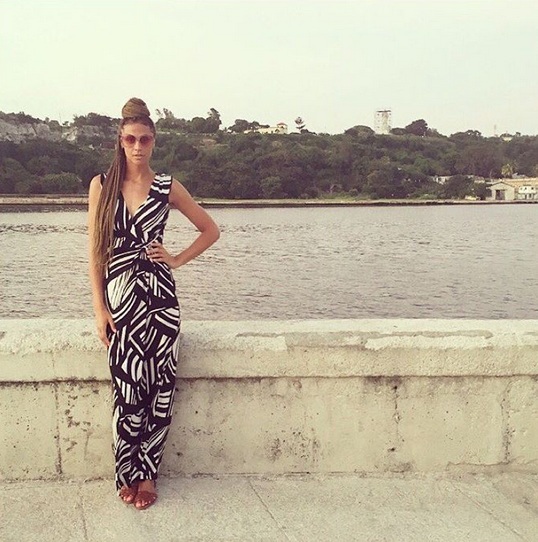 Another Tall dress that is perfect for travel from Alloy Apparel. It's the perfect tall-short length and gives you a chic look with very little effort. I paired it with these gladiator sandals from Alloy as well. They have a selection of shoes in sizes up to 13 and this neutral option went with everything I packed. 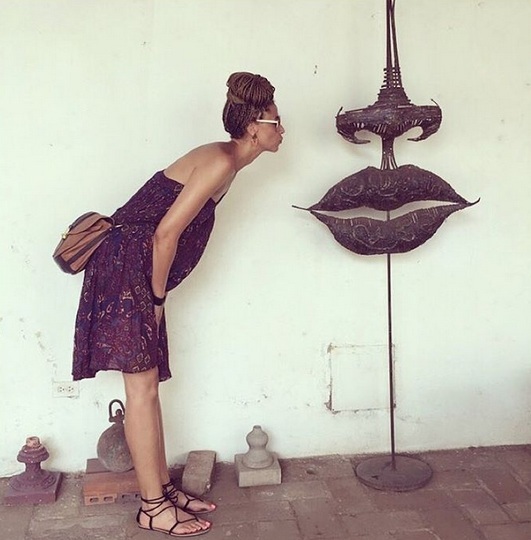 Besos for Cuba...I literally fell in love and will always have a place in my heart for Cuba! The street dogs in Cuba stole my heart. So sweet and smart. It's a hard life for these pups. They definitely adapt to the ways of city living. We even saw multiple dogs look both ways before crossing the street and jump over puddles so their paws wouldn't get wet. I wish I could adopt one! I had to get my last cup of Cafe before leaving Cuba (well I had 2 cups:-). By far, the best coffee I have ever had in my life at a quarter a cup. I am going to try to master this delicious way of making coffee at home for a little bit of Cuba in the states. 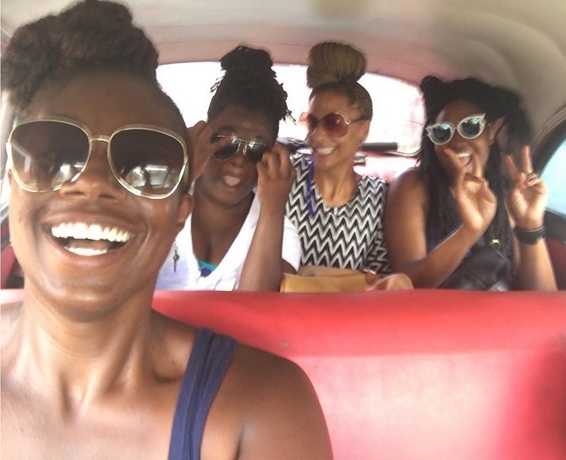 Words really aren't adequate to describe the experience that I had in Cuba but I will try... It was a beautiful moment that really has changed my life forever. I met amazing people, learned invaluable things about myself, appreciated the things that I have and pinpointed a way of life that I need to adopt. Traveling in general always teaches you something but in 14 days Cuba has built me in ways that nothing else could. I will be back and will always have a special place in my heart for Cuba!